AAMT provides scientific and technical support to various aquatic programs. Some examples of the science and technical support given are included below. 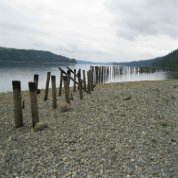 AAMT has completed a geological assessment at the Maury Island Aquatic Reserve. This assessment was completed for a better understanding of feeder bluff and drift cell dynamics within a portion of the reserve. 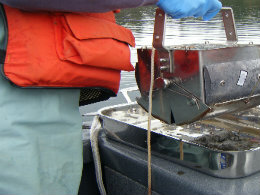 The methods used for this research can be applied to other aquatic reserves. 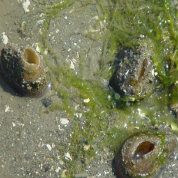 The Aquatic Reserve Program has defined several reserves in marine areas within Puget Sound and the Straits of Juan de Fuca. More recently it has expanded to freshwater areas and Lake Kapowsin has been identified as the first freshwater reserve. AAMT offered support to the reserve program by completing a comprehensive evaluation of freshwater waterbodies, lakes and rivers, throughout the state of Washington. The evaluation identified natural resources important to the state and applied a thorough investigation into what freshwater systems have concentrations of those resources. This document is used as a reference by Aquatic Reserve Program staff to assist in freshwater reserve management. For more information about the Aquatic Reserve Program, please visit this link. 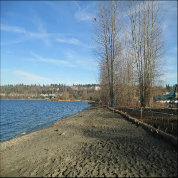 For more information about the Aquatic Restoration Program, please visit this link. Outfall effluent is discharged into Washington state waters on a daily basis through hundreds of permitted outfalls. State and federal regulations are applied to outfalls and the discharge of effluent into a water body, however these processes are not inclusive of all impacts outfalls and effluent may have on aquatic resources. To identify the impacts these structures and inputs may have on state owned aquatic lands, AAMT scientists and the DNR Outfall Program have partnered on the following research and monitoring projects. Chemicals of Emerging Concern (CECs) is a term used to describe chemicals found in the environment that are not regulated by state or federal agencies. 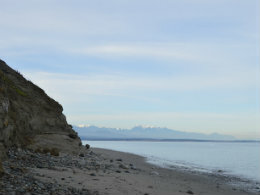 They are chemicals typically not included in the outfall permitting process and as science information becomes available, there is concern for the impacts they may have on natural resources in the state of Washington. AAMT is exploring if CECs are a concern to DNR managed aquatic resources. Click here for more information. For more information regarding this research, visit our publications website. 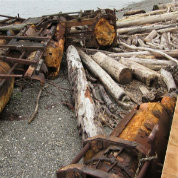 The DNR Outfall Program is an active participant of the Stormwater Work Group (SWG). 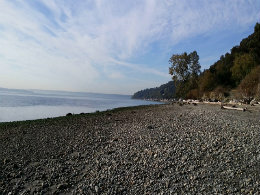 The SWG was convened by the Puget Sound Partnership (PSP) and the Washington State Department of Ecology (Ecology) in October 2008 to develop a regional stormwater monitoring strategy and to recommend monitoring requirements in the National Pollutant Discharge Elimination System (NPDES) stormwater permits issued by Ecology. This strategy included recommendations for status and trends monitoring in the Puget Sound Nearshore. The DNR Outfall Program and AAMT participated in the status and trends monitoring in summer 2016. Click here for more information. To help identify the impacts outfall effluent may have on state owned aquatic resources, water circulation patterns need to be evaluated. Unfortunately, this information is lacking throughout the state of Washington and determining the pathway effluent will travel and potentially deposit onto substrate is difficult. Obtaining information about water circulation patterns is a fundamental part of understanding outfall effluent impacts. AAMT and the Outfall Program are proposing methods to help evaluate and understand circulation patterns in the nearshore at specific sites. Click here for more information. The seagrass Zostera japonica occurs throughout Willapa Bay and Grays Harbor outer coast estuaries of Washington. 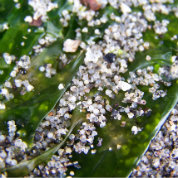 Some residents report that Z. japonica has expanded its range in recent years, and that this expansion has caused sandy areas to accumulate fine particles, becoming muddy and unsuitable for shellfish aquaculture. At present, there is little scientific data to confirm or contradict these reports. AAMT aims to utilize data from a 2006/07 bay-wide survey of Z. japonica conducted by USDA-ARS researchers (United State Department of Agriculture – Agricultural Research Service) in addition to a survey completed by AAMT in 2013. AAMT will use the data to evaluate changes invasive species control may have on seagrass distribution and sediment in the outer coast. Click here for more information regarding this research. For more information about this program, please visit this link. For more information about various aquaculture programs, please visit this link. 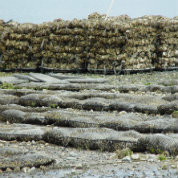 For information regarding the research tools AAMT uses to provide support to shellfish management on state-owned aquatic lands, please see the information here.